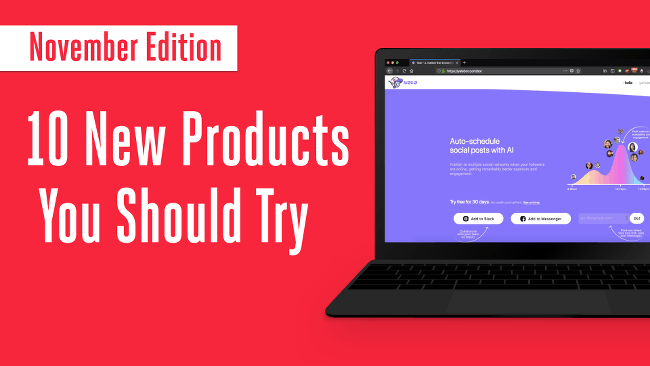 November has been a pretty busy month for entrepreneurs and developers alike, with new and exciting products being launched on Product Hunt every day. Though every product is innovative in its own unique way and attempts to solve very specific problems using technology, there are a few products which have received more praise, applause and upvotes from users than the rest. Here are the top 10 products which have caught the eye of users and remained popular throughout the month. Quick Code is a website featuring a curated list of free online tutorials and video courses spanning different domains. Users can choose to browse through the new and featured content or search for content pertaining to a specific topic. Apart from searching new courses, users can also suggest and submit courses to be included on the list, and join the mailing list for updates on the newest additions. The easy to use interface and exhaustive list of content makes it a great resource for new programmers. 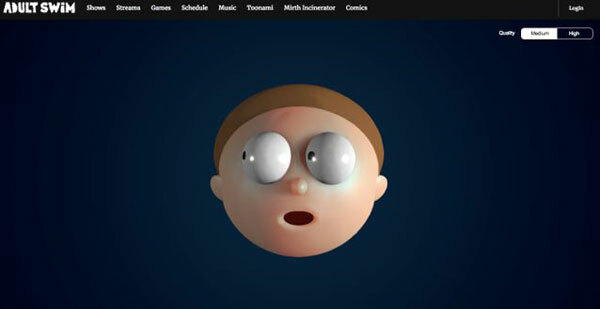 Elastic Man is a simple browser toy to cure users of their boredom. The elastic man’s face can be pulled, pushed, squeezed and stretched, and the very life-like interactions and sound effects add to the amusement of the game. It’s a guilt free way to waste a couple of minutes, at the expense of the poor elastic man. The game does credit to the developers, who have successfully achieved the life-like effects using code. 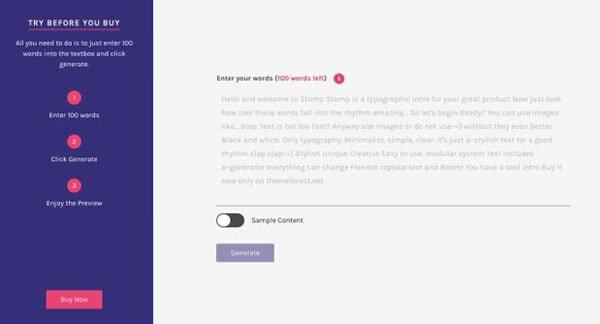 Stomp is a quick and easy way to generate a landing or coming soon page with a stunning animation, inspired by the animations seen in the advertisements by Google and Apple. The demo, which requires the user to add 100 words and click to generate the animation, is reason enough to convince you to buy the product and gives a fair idea of how the product works. The only limitation of this product is that the template cannot be extracted as a video, and you, of course, need to buy the product to use it. The one page template is a nifty way to get an introduction page up and running and if you love the animations from Apple and Google during their product launches, this is surely a product you need to have! aiPicture is an app for the iPhone and iPad with a food and location predictor. The developer plans to bring in more scanners to the app, but for the time being, the food and location predictor works perfectly. The clean interface lets you select an image from Photos, and you can choose to apply the food or location predictor to it. 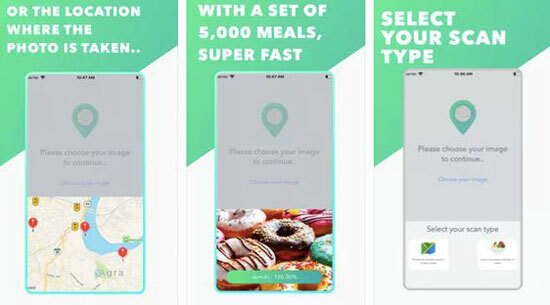 The food predictor attempts to predict your food from a set of 5000 different meals, while the location predictor gives the three best location predictions. The app is free of advertisements, and the user needs to pay a fee of $1.99 after a month of free usage. AG watermark generator is a Mac and PC app to add watermarks to audio files in a convenient way. The app requires you to select your audio and watermark file, the time interval after which the watermark should play, the interval within which the watermark will repeat, and your watermark gets added to the audio file in a jiffy. You can customize the volume at which the watermark plays, as well as the format in which the resulting audio file is generated. The great UI and UX of the app does credit to the developers and makes it a great tool for musicians and composers who wish to protect their music by adding a personal watermark. Yala is a social media scheduling bot which is currently operational on Slack and will be released to Facebook Messenger in the future. The bot has a simple conversational interface and it works by bundling up the content sent to it efficiently and sending it to as many Facebook and Twitter accounts as the user likes. The unique selling point of the product lies in the fact that the bot chooses the ideal time and weekly posting frequency to post the content which would fetch the maximum engagement. 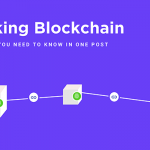 The developers of the product feel that social media scheduling and management should be a smooth and collaborative process and attempt to solve this issue with their product. The app saves social media managers a lot of time and its functionalities make it an amazing product. 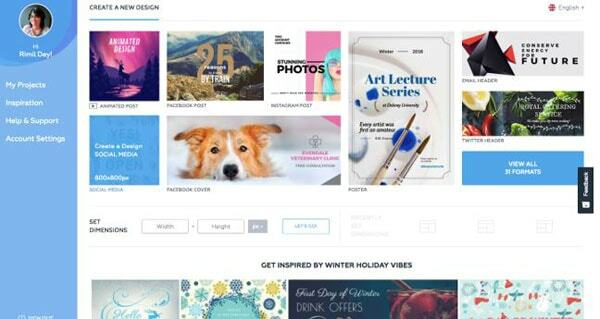 Crello is free graphic design editor that is aimed at helping users create images for social media, print media, and other web-based graphics. It has a huge library of free formats and templates to use. 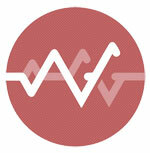 Its interface is aimed at designers and non-designers alike. 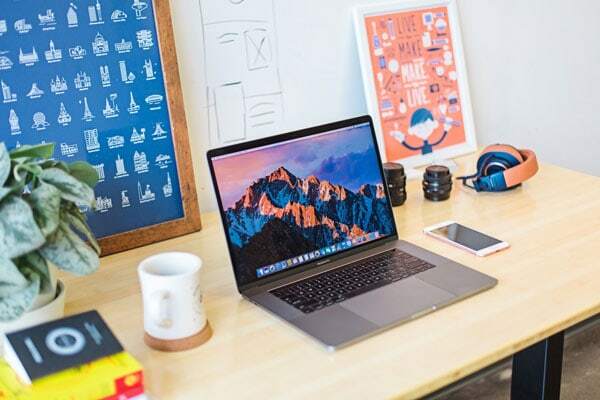 This simplified design tool is completely free and is a great starting point for creating gorgeous image assets in a jiffy. 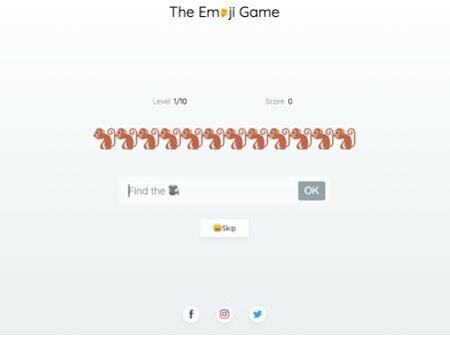 The emoji game is a quiz featuring names of movies, TV series, books, novels and songs appearing as a series of emojis, with the user guessing what the emojis mean. Ten new emoji games are added every day so that game sees a high retention rate. The game in itself is quite addictive and interesting. Any user can create an emoji game and share it with everyone else. The developers are working to create a slack bot for the game as well. Portrait by img.ly is an iPhone app, which allows users to create stylised selfies and portraits in real time. The app has a huge range of filters and effects and an impressive UI. The app developers use machine learning to handle complex tasks in the app, which make the app more efficient. None of the photos is uploaded or processed on servers, as all the processing is done locally on the GPU of the phone. Hence, the users can be very sure that their data remains on the phone itself. With the real-time previews as the unique selling point, this app has received mostly positive reviews from users making it a great product. Tribe games claim to be the first live multiplayer gaming app while simultaneously video calling. The games are said to be addictive and are less in number, though more games are on the way. The live gaming makes the chat more engaging, with a faster app load and a fluid experience. 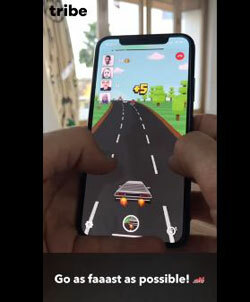 The developers are credited with having an attentive team and a solid work culture, which reflects in the work they have put in to make this app. 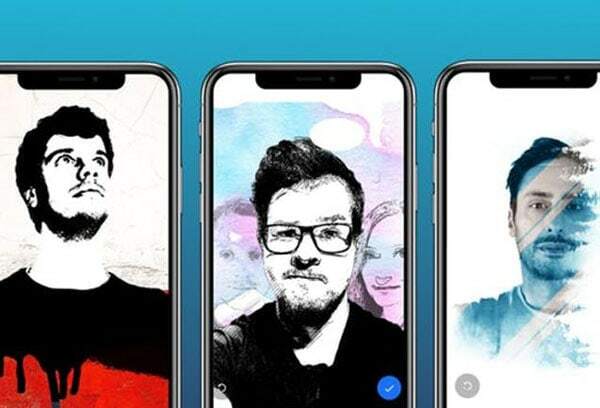 Augmenting gaming with live chat and video calling is a new concept, and it would be interesting to note where the developer team goes on with this concept. Product Hunt is an amazing platform for developers and teams alike to show off their products to the rest of the world. The developers receive constructive feedback from the community and the community in return benefit from the variety of products and tools being developed. It is products like these that keep the technology world moving and inspire developers to constantly come up with better products and projects.